We’re collecting, growing and sharing backyard seeds of all sorts – from vegetables and fruits to ornamental and medicinal plants. These are seeds that aren’t purchased from a shop. Instead, these are seeds that families have planted and handed down many generations. These are often called “heirloom” seeds. Tsaang Gubat, aka Tsa, WIld Tea, Fukian Tea Tree, Philippine Tea Tree (Ehretia microphilla or Carmona retusa). 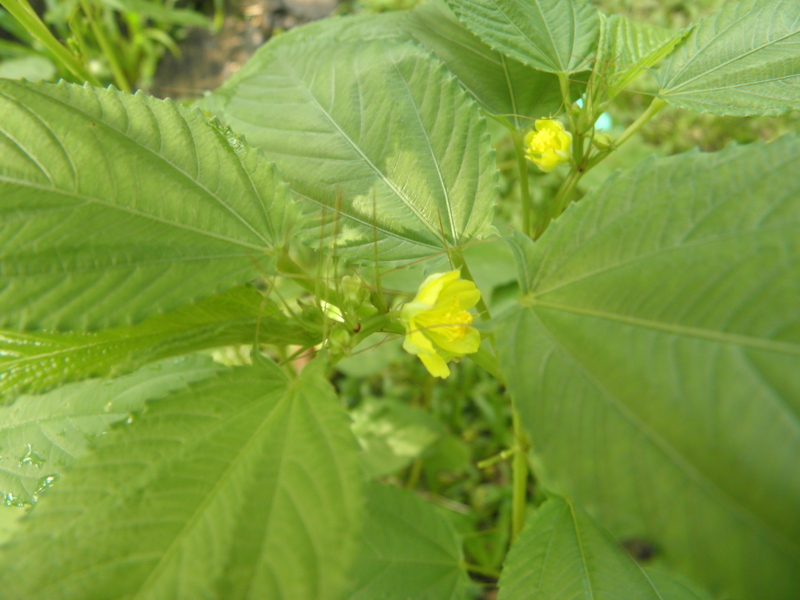 This plant is promoted by the Department of Health (DOH) as an antispasmodic for stomach/abdominal pains, and one of a few herbs recently registered with the Bureau of Foods and Drugs as medicine. You might have experienced buying seeds from a shop, planting it, harvesting and saving some seeds. Then when you planted those seeds, they never germinated or if they did, there was nothing to harvest. Commercially exploited seeds are often hybrid seeds that you need to buy every year. The hybrid plants also often require herbicides and pesticides, as well as fertilisers, produced by these same corporations that sell the seeds. However, there are seeds that grow, open-pollinate and sow themselves. These are often of vegetables or fruits that we don’t see in the commercial seed or produce market. We have several of these growing from seeds given to us by neighbours and friends up in the hills of Bohol. These native, heirloom or indigenous seeds often grow best, requiring very little care, because they are most well adapted to our local environment. “Talinum” (Talinum paniculatum (Jacq.) Gaertn.) also known as “Jewels of Opar” or “Fameflower.” Grown as an ornamental plant, the leaves are edible and have medicinal properties. So perhaps you would like to join our little informal “Backyard Seed Savers Club”? 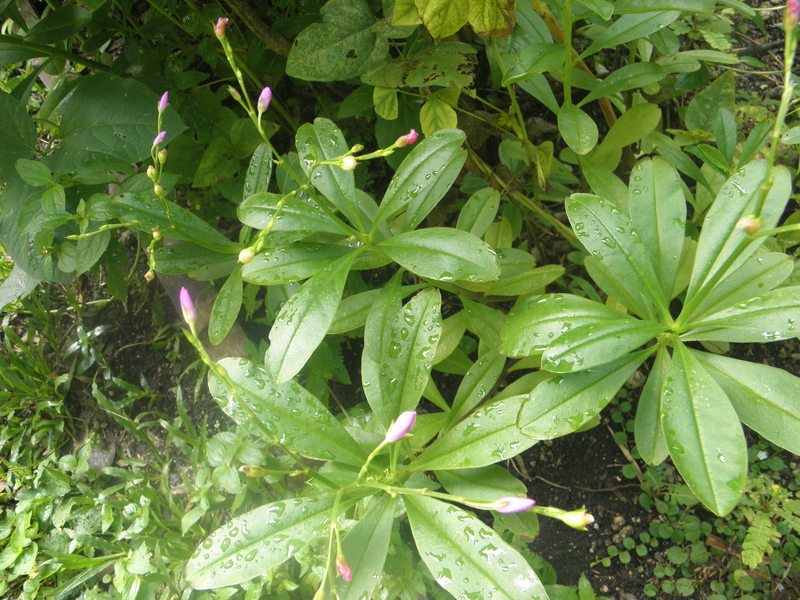 It’s a rainy September here in Bohol and the “Saluyot” plants are flowering and we’ll soon have lots of seeds. The “Sigarilyas” are in full bloom too and we’re waiting for some seeds to mature. Let’s save and swap seeds! You can send an email to fats.lasay@gmail.com. Let us know what seeds you have to offer and what seeds you are looking for. * At present we don’t have a large collection of backyard seeds; but through exchanges with others we hope to build up a wider collection to share. ** Exchange of roots and cuttings might also be possible for people who live nearby. *** Heirloom seeds are commercially available in some countries (US and UK, for example) but import/export restrictions may apply as well as problems of adaption to local conditions. So we’re exchanging seeds only in the Philippines.